BoldBrush — How do I replace my contest entry? How do I replace my contest entry? 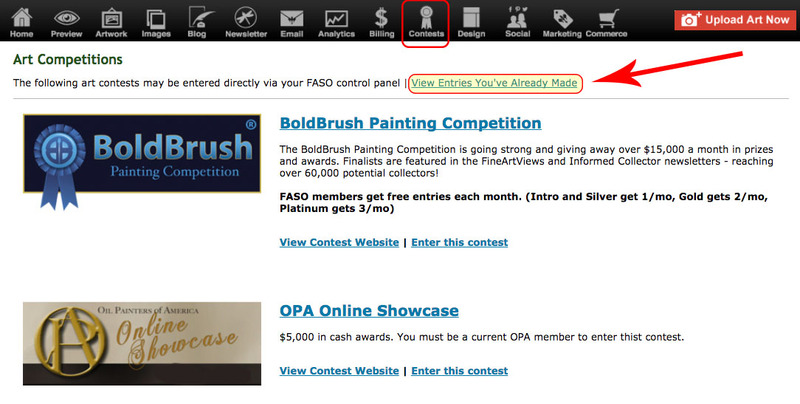 If you have already entered the BoldBrush Competition or the OPA Online Showcase and wish to replace the image you originally entered, you can do the following prior to the contest's deadline. It can take up to 24 hours for a replaced image to appear on the contest site.